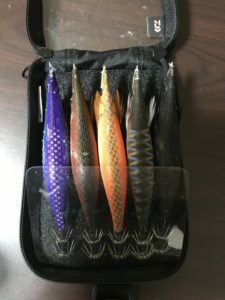 This article is about squid jig case I recommend and selection case. 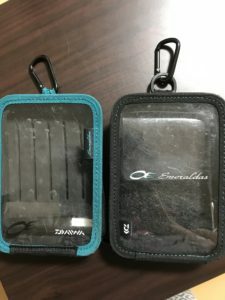 Squid jig case with carabiner is jig case that is used by hanging it on belt loops or rings on floating vest. It is like picture below. When you are squid fishing run & gun in fall,it is very handy. 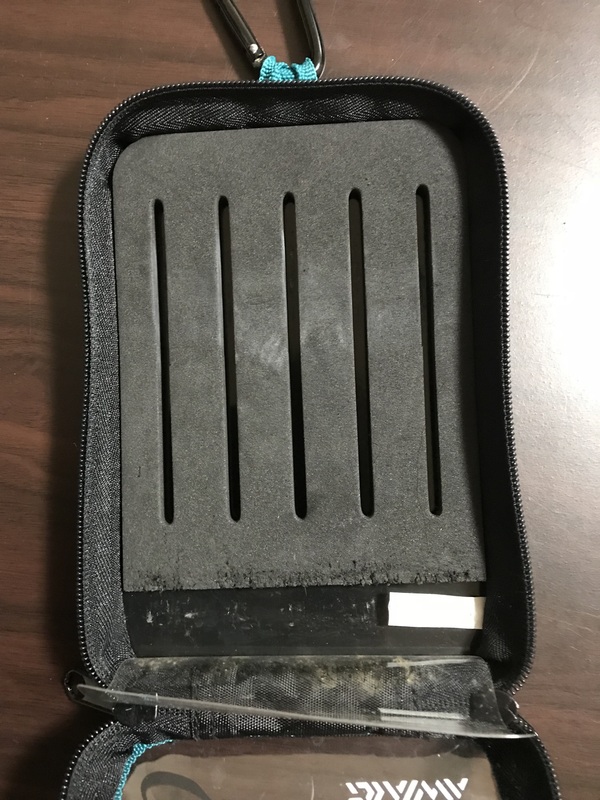 This type squid jig case is used by putting sinker of squid jig between clearance of sponge. squid jig is stable in it. But,the number of squid jig in it is fixed. 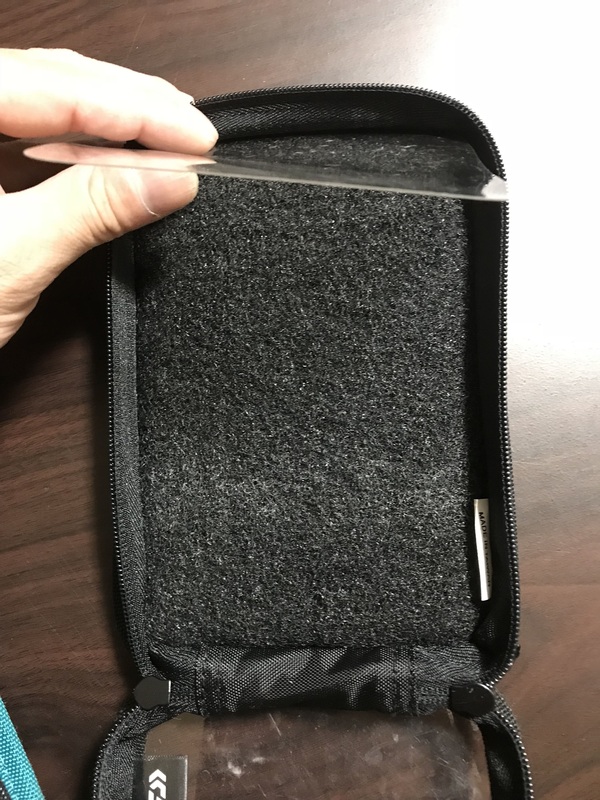 The suitable size is about #3.5～#4. 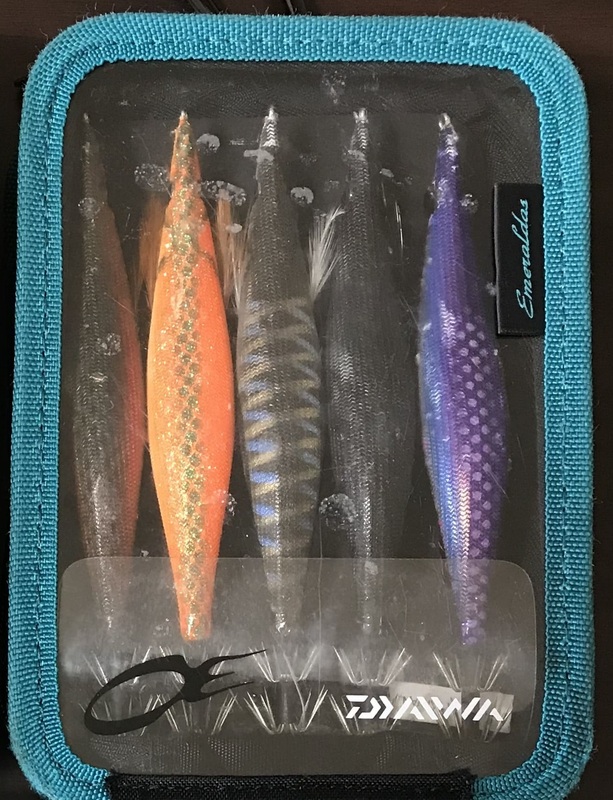 The picture above is the case in all squid jig(#4). I recommend this type for those who often use larger squid jig. Squid jig case hooking the squid jig hook is like below. It do not have clearance. the number of squid jig in it is not fixed. 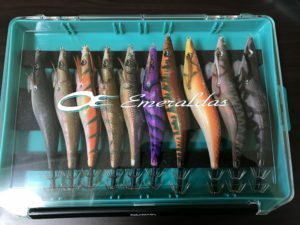 The picture below is the case in all squid jig(#3.5). 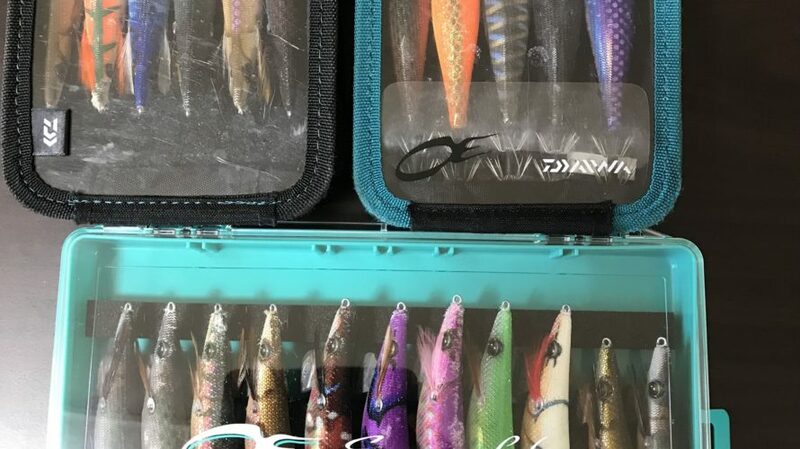 I recommend this type for those who use squid jigs different size. Box type squid jig case is unuseful to carry. 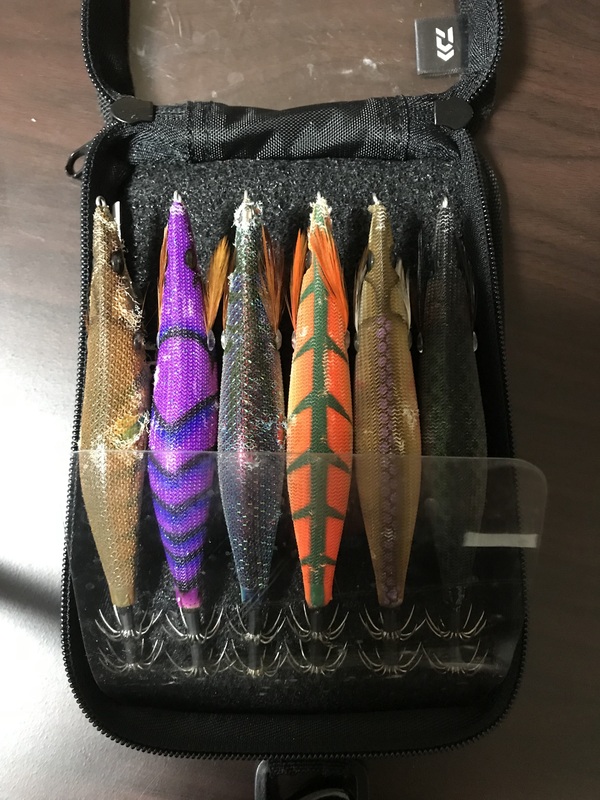 But when you carry squid jigs with tackl box,this type is very useful,because many squid jigs is in it. When you use this type,check box size and squid jig size. The picture above is the case in different size squid jig(#4 & #3.5). 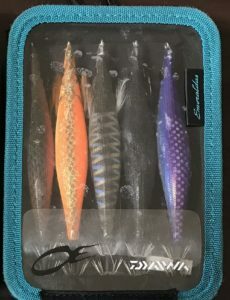 Righter 4 squid jigs size is #4 and the others size is #3.5. When you select squid jig case,check squid jig size and case size or capacity. 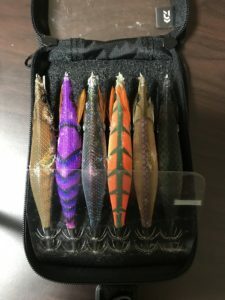 Selection appropriate size of squid jig case make your squid fishing very comfortable.